212 pages | 5 B/W Illus. China's Thought Management argues that by re-emphasizing and modernizing propaganda and thought work since 1989, the CCP has managed to overcome a succession of local and national level crises - the Tiananmen Square protests of 1989, the impact of the collapse Socialism in the Eastern bloc, SARS, ethnic clashes in Tibet and Xinjiang, to name but a few - emerging re-strengthened and as dominant in Chinese society as ever. The contributors to this book address such crucial issues as the new emphasis on economic propaganda, the continued importance of the PLA propaganda system in China’s overall propaganda work and political stability, how the CCP uses "Confu-talk" in its foreign and domestic propaganda, and new approaches to mass persuasion such as "campaigns of mass distraction". Each chapter is a case study of the multiple ways in which the CCP has modified and adjusted its propaganda to reflect China’s changed economic and political environment. Challenging readers to reconceptualise mainstream understandings of the CCP’s hold on power and the means the CCP government adopts to maintain its authority to rule, this book will be invaluable reading for anyone interested in the Chinese media and Chinese politics. 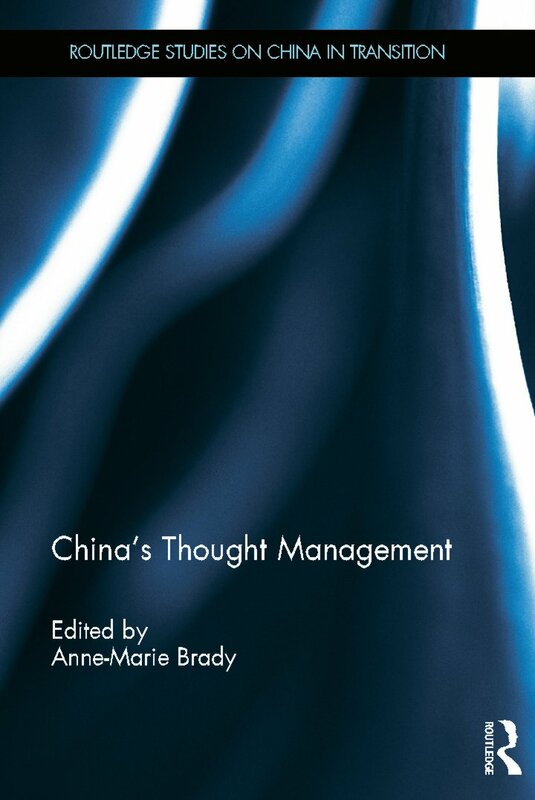 'This book is a substantial addition to Brady’s earlier work (Marketing Dictatorship: Propaganda and Thought Work in Contemporary China, 2008), which was already a substantial contribution to the literature as a whole.' - Josef Gregory Mahoney, East China Normal University; The China Journal (July 2013). Anne-Marie Brady is Associate Professor in the School of Social and Political Sciences at the University of Canterbury, New Zealand.